To see a listing of our services, please take a moment and look at our services pages. Because we get new business from the people who know us best, client referrals have fueled our growth. Through hard work, we have earned the respect of our clients. This respect illustrates our talents, dedication and ability to respond quickly. We offer a free initial consultation and free notary public service for our existing clients. Mark has been in the tax and accounting profession since 1989. Before founding his own firm, he worked with the international accounting firm of KPMG, the Fleet Private Clients Group, and Bank of New England. 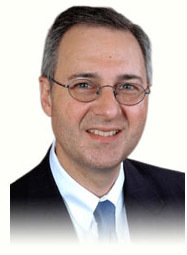 He is a member of the American Institute of Certified Public Accountants and the RI Society of CPAs. His extensive public and private accounting experience provides a foundation for preparing GAAP or Tax Basis Financial Statements, monthly and quarterly financial reports, full charge bookkeeping and complete payroll for any type of business, large or small. He is also a Certified QuickBooks® ProAdvisor. He has the depth of experience to handle any tax situation. Mark has extensive expertise in preparing individual, federal and state tax returns and specializes in services for enterprising professionals, as well as all types of business tax returns. He attends several tax and accounting seminars throughout the year to keep abreast of the latest developments and enhances his expertise in order to provide his clients with the greatest amount of tax savings and cost effective business solutions.